PhyFl18-SS2.6.3 It is where the famous equation for average velocity comes from. 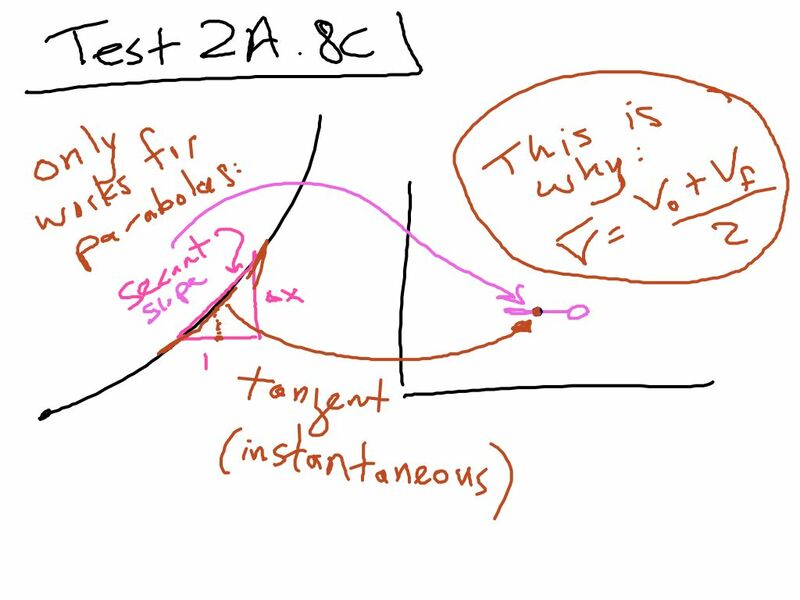 the v bar is the slope of the secant line, the Vo is the slope of the tangent line at the beginning of the segment and the Vf is the slope of the tangent line at the end of the segment. This only works for Trios.